Jasmin also announces that we'll be starting our next KAL (tentatively) around October 1st. - MEET AND GREET! We'll be doing our meet and greet on Saturday September 25th, from 11:30-12:30 in the Abstract Fiber booth, then we'll be joining Rachel (from KnitCents) in the BarMaids booth from 12:30-1. We talk about picking alternate yarns for patterns. We mention the Craft Yarn Council's method of classifying yarn weight. Gigi enables Katrina into knitting socks with afterthought heels. Katrina's footlets suffered from user error. This week we review Knitting Under the Influence by Claire Lezebnik. We didn't care for it. Jasmin recommends "In Sheep's Clothing" and "The Knitter's Book of Wool". Jasmin talks about Merino and Masham wool, courtesy of Crown Mountain Farms and their fiber of the month club. I came across your site & saw that you have a podcast, which I immediately downloaded... starting from the very first one. Loving it! Wish my Mom knitted or crocheted so we can do a podcast too. I would be happy to help you organize a really fun gathering for all of your NY fans during Vogue Live. ooh! I nearly fell off my chair when I heard you mention my podcast! 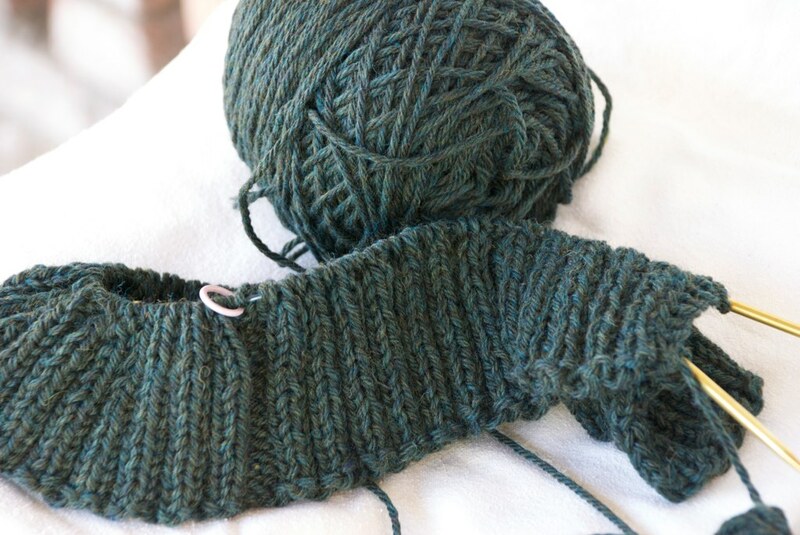 Jasmin, I think you mentioned you struggle with starting the ribbing for two sleeves at a time on one circular. I was stumped by the same thing, only when doing socks. I found a really great tutorial online for 2 top down socks as a time on one long circular needle. There are lots of pictures - once I saw this, it clicked for me. Can I just say a big 'thank you' for introducing me to 'Crafternoon Tea' with Granny G. Couldn't resist it as I too am a 'Granny G' but the combination of sewing,knitting and baking makes for a tremendous podcast.zkur.